A happy and super reliable Nanny with is needed for this lovely family in Mayfair starting January 2019. The work schedule is flexible, and they can offer most combinations of hours, 12-25 hours per week, so long as the core hours when the kids are home are covered. The Nanny's main role is to help with after-school care. You will collect the the 3 girls from school and take them to their activities. On longer days you will be required to help with grocery shopping, running errands, tidying, organizing, and meal prep. This family is open to a nanny bringing his/her own child with them to work. They do also have a pet dog! 2 or 3 recent glowing childcare references that can be verified. Nannies on Call has been hired by this family to pre-screen all candidates. 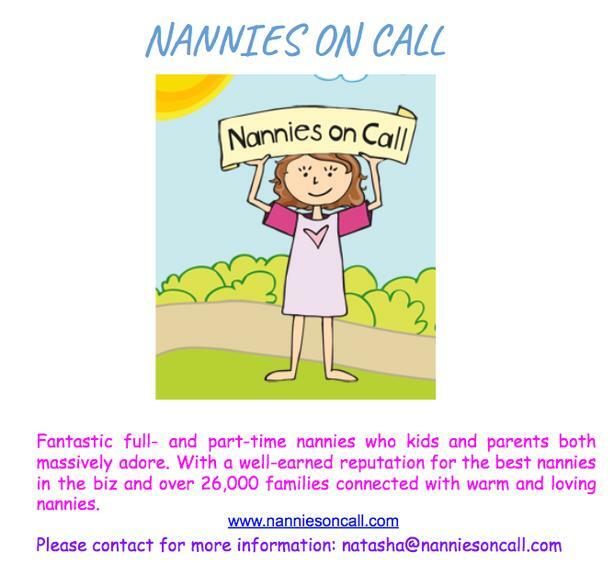 This is a FREE SERVICE FOR NANNIES. If you are interested, please apply with your detailed childcare resume with exact dates and locations. Thanks!